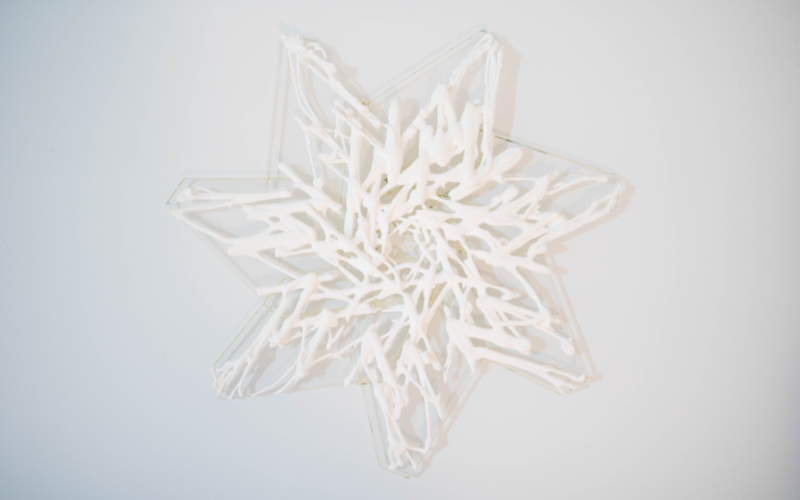 Soft Ceramic is a 3D printed biomaterial system that uses dicalcium phosphate suspended in a gelatin-based bioplastic to create objects that react geometrically to ambient conditions. 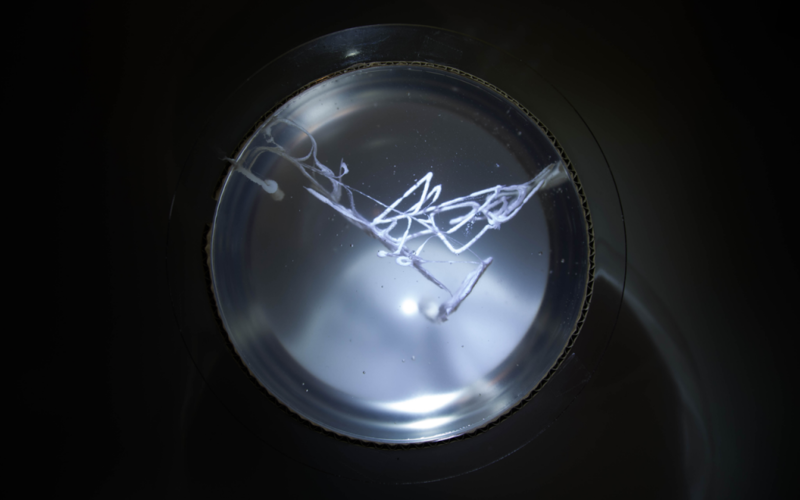 As a gelatin-based bioplastic sets, the egress of moisture creates forces within the material that cause it to change shape, and fittingly this study has been subject to tensions that have defined what it is and what it addresses. At the most basic yet largest level, this is a project about developing the material, the apparatus used to extrude it, the geometry that expresses its characteristics, and the interplay between all three. 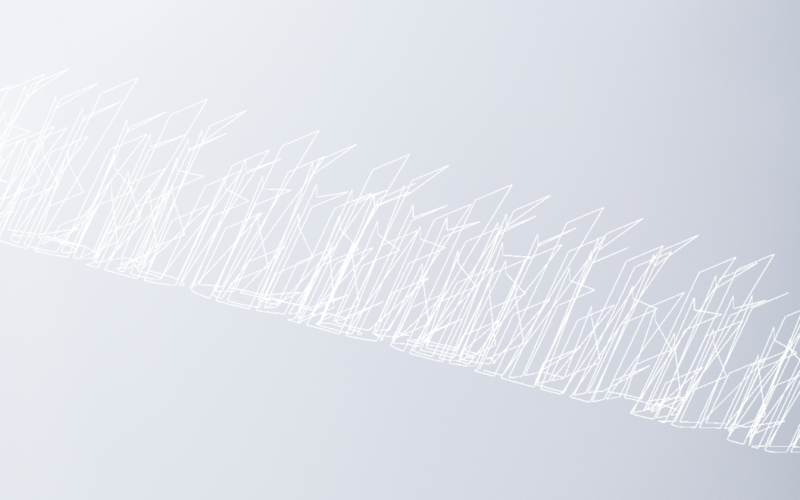 At a more crucial level, however, this project is about the relationship between 2D and 3D and the difficulty in leaping from the former to the latter. Consider drawing. To draw in two dimensions is one thing. To draw a projection of three-dimensional space onto a two-dimensional medium is another. But what does it take to truly draw in three dimensions, such that an infinite number of degrees of perspective can be expressed? At best – at this time – we build models, either 3D or physical. However, even in these solutions the climb from two dimensions to three is a sharp one: in computer graphics, 2D performance is trivial while 3D performance remains a growth industry; when it comes to exporting those graphics to reality, 2D printing is a solved game but 3D printing is an ongoing battle. Soft Ceramic’s exploration of this transition runs along two main axes. Firstly, printing geometries were generated as two-dimensional typographical forms extruded algorithmically into three dimensions, rotated and offset in space, and arrayed radially to create intersecting network forms with tweakable concentric regions of node concentration. 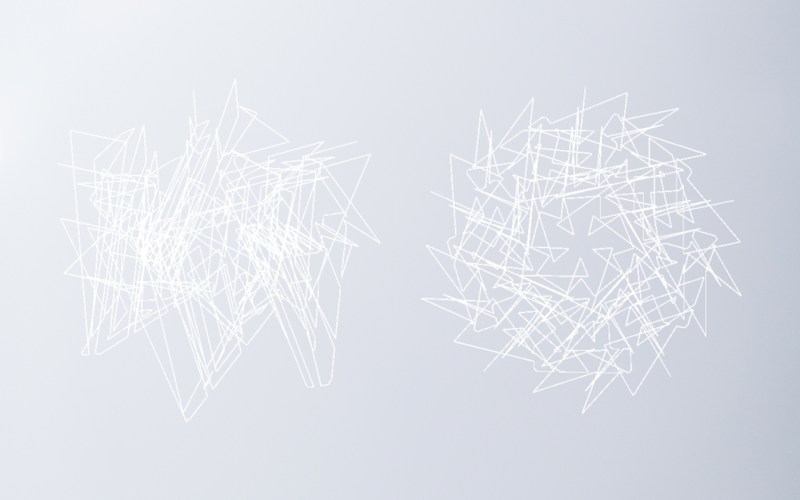 These shapes were then either projected into 2D or left intact depending on the printing method – the second axis. 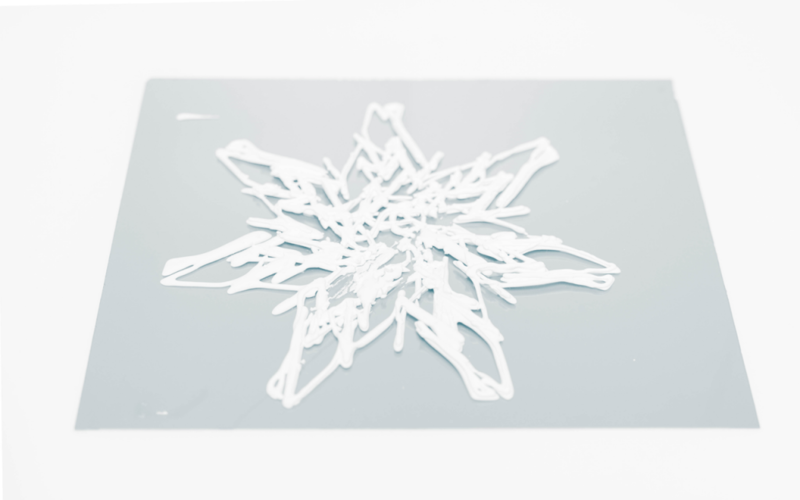 Here, three-dimensionality was sought initially by stacking as in traditional fused deposition-based 3D printing, then by printing directly onto a laser-cut polyethylene surface specifically segmented to promote bending along split lines, and finally by printing into a methylcellulose gel scaffold that allows for freeform drawing without gravitational constraint. 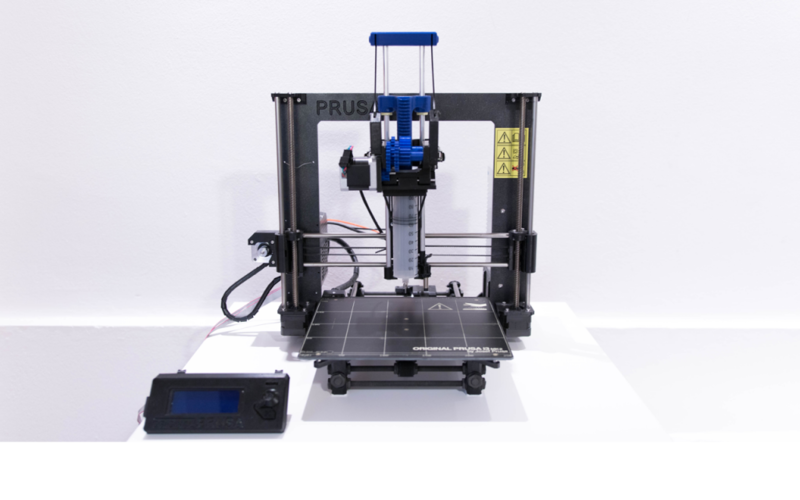 The extruder that underpins the exploration is itself 3D printed – via a conventional filament process – and is based on an open-source BCN3D design heavily modified for compatibility with both this project and the Prusa i3 MK2 3D printer, upon which it replaces the filament extruder. 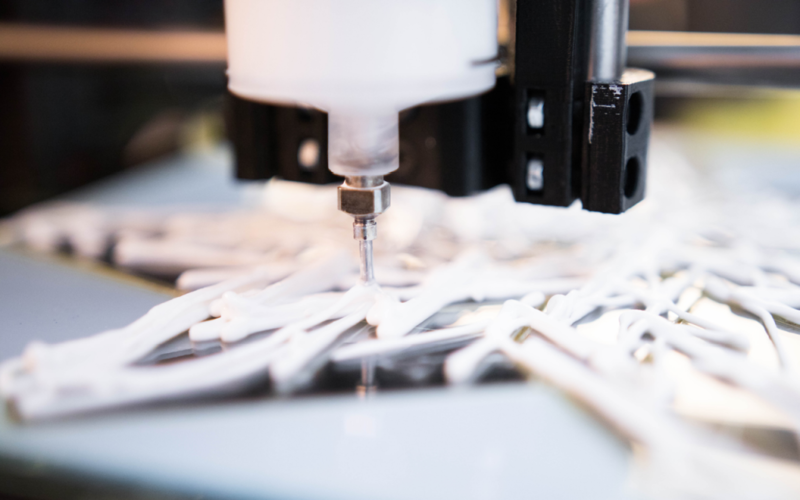 It takes 100-millilitre syringes with swappable Luer lock tips for adjustable extrusion width, and is controlled via the printer’s standard firmware using G-code generated out of Grasshopper for Rhino using the Silkworm extension. 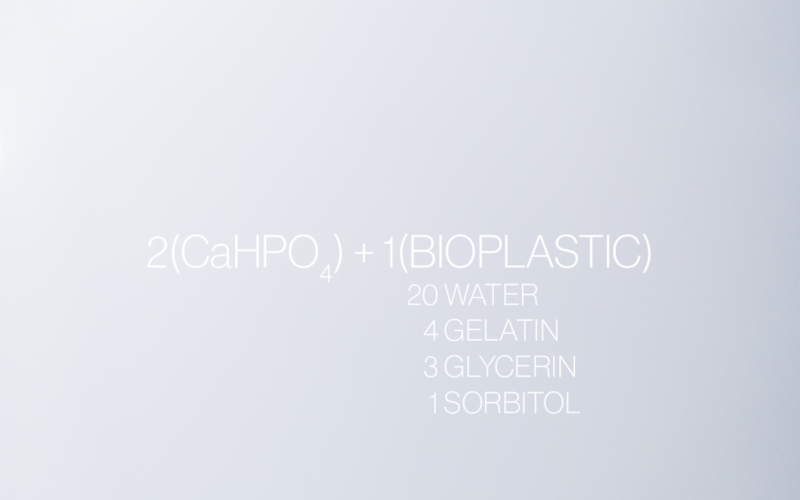 Meanwhile, the material is (in descending ratio order) a mixture of dicalcium phosphate, water, gelatin, glycerin and sorbitol arrived upon after extensive experimentation. 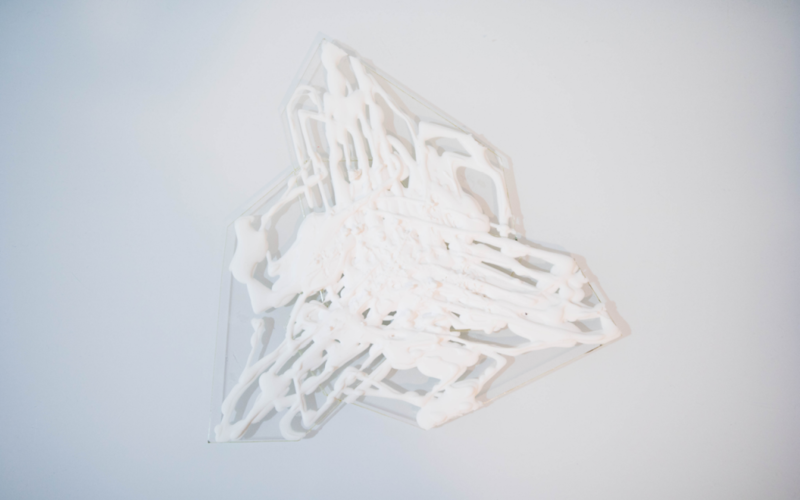 This study leverages a custom-designed apparatus to explore a specific material formulation geared to deliver specific geometric results, but given that the technical results of the work are a material platform rather than any one particular printed product, the opportunities explored here represent a subset of the possibilities of the system. 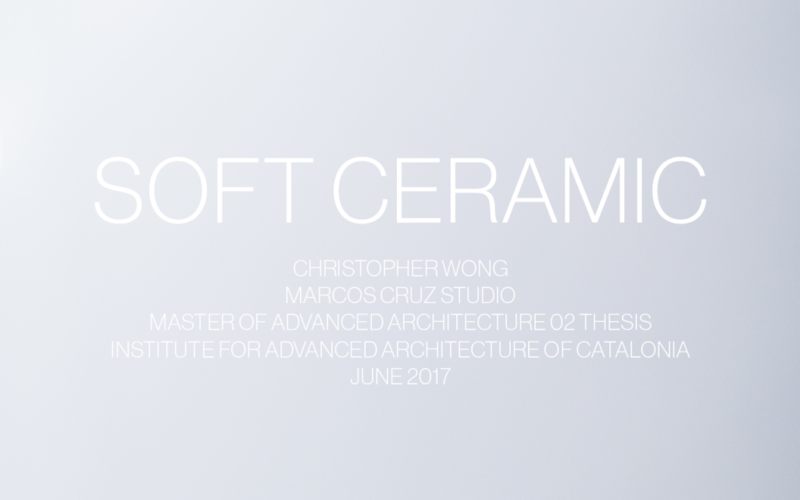 Soft Ceramic is a project of IAAC, the Institute for Advanced Architecture of Catalonia, developed in fulfillment of the Master in Advanced Architecture 02 program in 2016-2017 by Christopher Wong under the supervision of Marcos Cruz and the assistant supervision of Nina Jotanovic.